Public works projects interface with and often inconvenience the daily lives of residents and constituents. We turn down the volume by communicating directly with businesses and residents in the affected areas through bilateral communication channels that inform neighbors and potential visitors in areas that will be impacted by the project. Before launching any campaign, we research the audience, clearly define community characteristics and engage with influencers and businesses to ensure that our clients are perceived as responsive and energetically engaged in the community. 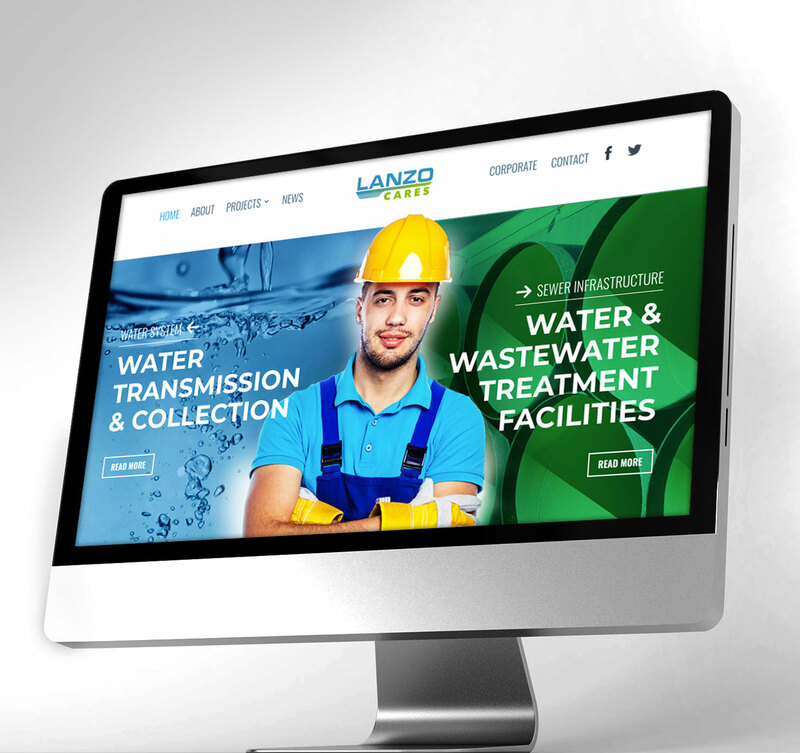 Lanzo Construction launches digital hub to assist in public outreach efforts for their projects in South Florida. 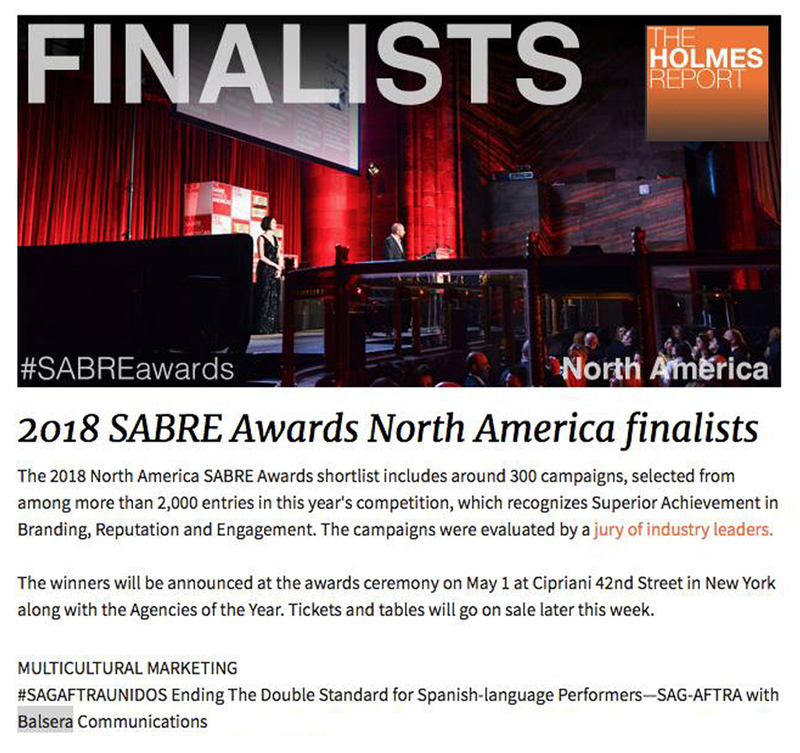 Employing a transcultural lens, we execute award-winning multicultural and multilingual programs for our clients by successfully navigating cultural differences and norms. Due to our diverse talent, we authentically engage cross-cultural communities to showcase your program, deliver your public policy initiative and deliver impactful communications. Through our insights and our dynamic and multi-tiered communications approaches, we help clients drive awareness and align their issues and organization with an audience that is driving the future. We help firms tackle their business challenges and earn them a seat at the table by leveraging our insight and understanding of government procurement processes. Our in-depth knowledge of planning and development, potential issues and the political influences that drive them often determine project success. We work with some of the largest private developments and infrastructure projects in Miami, representing them in front of local, state and federal agencies to give them greater brand visibility and position them for success before decisions have been made. 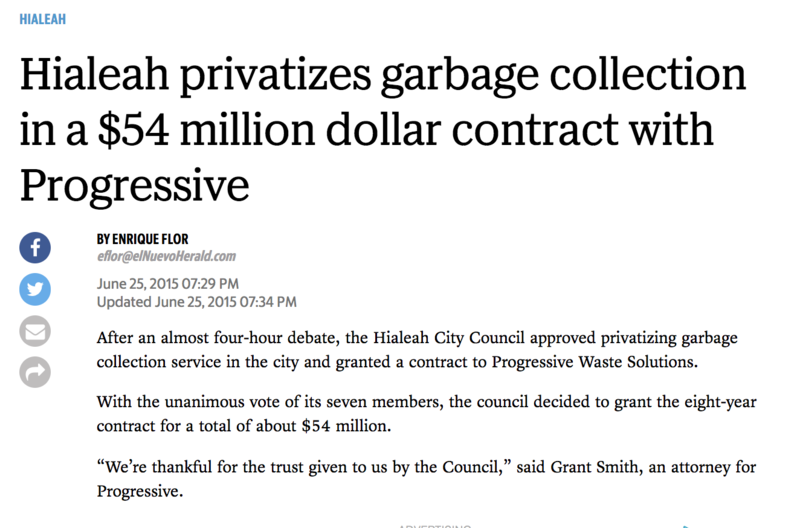 Progressive waste wins bid for Hialeah waste services. Teachers rally in Hialeah in opposition to Florida Bill 7065. With a wealth of experience in connecting comprehensive media campaigns together with grassroots advocacy campaigns and advertising, we are uniquely positioned to amplify our clients’ media and policy goals. From labor unions to trade associations or Fortune 500 companies, our issue advocacy and public policy campaigns have been award-winning and nationally recognized. Our team is adept at focusing public attention around an issue that affects the community at large. By developing strategic targeted messaging that is unique to each stakeholder, we are able to generate influential media coverage, digital engagement, and grassroots activism that drives action and engages audiences. Our reach extends beyond the state of Florida or the United States. We excel in delivering media relations and business development services throughout Latin America, with a particular focus on Argentina. Our team has extensive experience living and working in Latin America. We leverage that experience for a broad range of clients who want to enter the U.S. market and for clients seeking a foothold in Latin America. As the region charges into the 21st century as a global high growth market, we are constantly seeking opportunities and blazing the trail for our clients in both hemispheres. 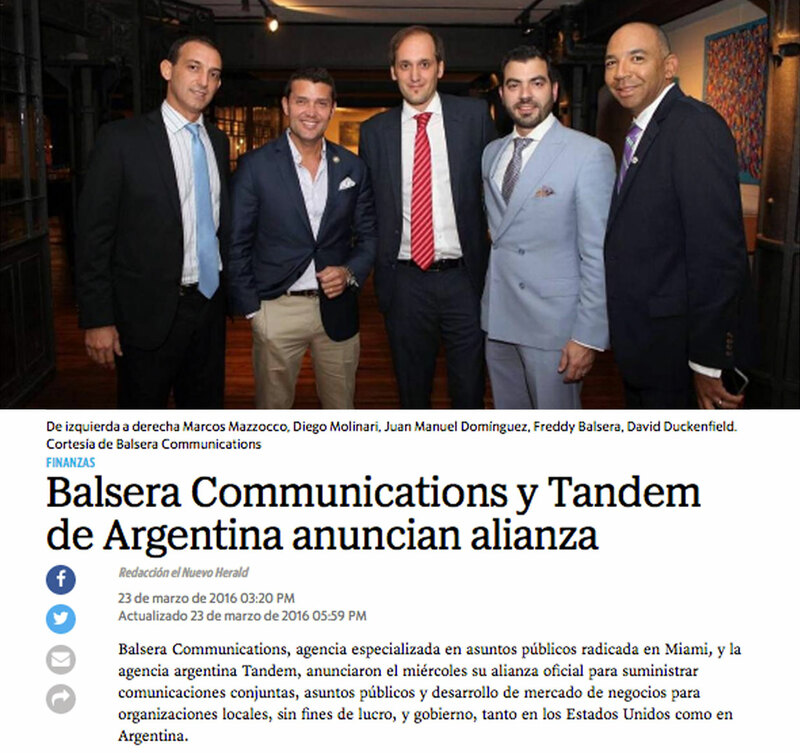 Balsera Communications in Tamden of Argentina announce partnership agreement. Check Out Our Award Winning Work.